In devastated Puerto Rico, help floods in from everywhere except the U.S. government. After Hurricane Maria, my social media was filled with the names of towns. It was, "Have you seen my son in Bayamón?" and "Has anyone heard from Trujillo Alto?" and "Has anyone heard from Vieques?" There was this terrible silence that I think anyone with ties to the island ­— friends or family — shared, because no one heard from anyone on the island for a long time. It was several days after the hurricane hit that I first knew my uncle was okay, because my cousin in Florida found a picture of him on Facebook helping others in Vega Alta, which is our hometown. Then, after the initial days, it was just signal boosting calls on social media — "My cousin is here and they need diesel," so someone gets over there. Those town names became lyrics in my head; that's where my brain goes. I felt that, if I could get all 78 towns into a lyric, the towns might never feel forgotten again — but that's also something we can all sing together. I didn't want to write some fake lyrics about help being on the way and here's what we're doing. I wanted to lift the names of our towns that need so much help up, almost like a prayer, como una alabanza. The responses of the artists I contacted for this relief effort, to a person, were "yes" — without having heard the song, without having any reservations. They just said yes because they wanted to find a way to help; everyone is aching for ways to help and making sure that help is received. For instance, I was in the studio with Rita Moreno, and she asked, "Have you called Gloria Estefan?" I said, "I don't have Gloria Estefan's phone number, I'm just a guy." She pulled out her phone and said, "Here's Gloria Estefan." The next day, we were recording with Gloria Estefan. And then there's a rapper on the island, PJ Sin Suela — I'm a huge fan — who I emailed at the same time as I emailed everyone else, just after I had written the song. I thought to myself, "I'm sure he's busy," but last Saturday I got an email from him. "I just got your message," it said. "I just got power back. I'm on the island. Happy to do whatever you want." I wrote him back, "Can you get to a studio? Do you have a studio that has power to record this verse?" He said, "There's a studio in San Juan. I will get there." On Sunday I got another email from him that said, "I've recorded the verse. I don't have enough bandwidth to send a file. It just won't send." I was in the studio with Gloria Estefan, and she said, "I'm flying to Puerto Rico tomorrow." I emailed PJ and said, "If you can get to San Juan, get a memory stick to Gloria Estefan." Monday night, I got a picture from Gloria and Emilio Estefan — just of them, holding a memory stick. It makes me cry to think about it, but that's been the telephone chain of help; all hands are on deck. I've seen the same from ordinary people, and people all over the world. If the U.S. government could replicate this spirit, we'd be much further along on the road to recovery. I have more hope than ever, and more faith than ever in the American people and people all over the world. If you look at my Twitter feed, it's kids breaking their piggy banks, it's employers matching employee donations, it's teenagers spending the weekend wrapping supplies to send. There's no shortage of compassion. There's no shortage of energy. We just need the government response to be commensurate to the energy of the American people. And yet, the number of federal personnel in Puerto Rico is a fraction of those sent to deal with Hurricanes Irma and Harvey. The number of dollars devoted to aid is a fraction of those devoted to Hurricane Harvey. We should at least see an equal response to those previous hurricanes. 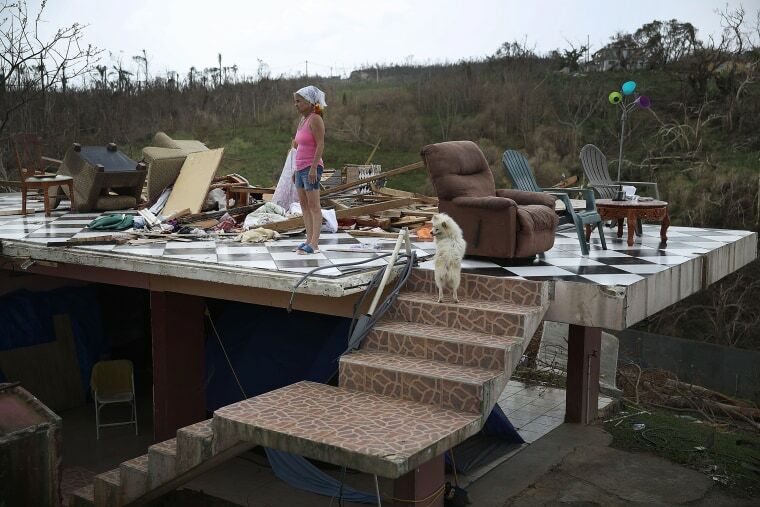 The challenges of Puerto Rico mean we need more, not less, than those other natural disasters. It's important for the response be that much more robust because the nature of the challenge is that much more unprecedented. Puerto Rico, prior to Hurricane Maria, was dealing with a lot of financial issues and dealing with a lot of infrastructure issues, including with basic power. And the disaster of Hurricane Maria came on top of Hurricane Irma, which had knocked out power in a lot of the towns. We were already struggling when the one-two punch happened. So we know how Puerto Rico was doing prior to this hurricane. We knew that it's surrounded by water. So you should say, "And here's how we're preparing for those difficulties, those existential challenges." You don't say, "Oh, my gosh. I'm surrounded by water." There is no shortage of tragedies in the world right now: There are the victims of Hurricane Irma you've seen on the news in places like Florida, the victims of Hurricane Harvey in places like Texas. But there are 3.5 more million American citizens in Puerto Rico that are rationing food and rationing water and rationing supplies in the United States of America. Those are American citizens too. They shouldn't have to be American citizens for you to care, but they are your fellow countrymen and they need your help. As told to to NBC Latino managing editor Sandra Lilley, condensed and edited for clarity. 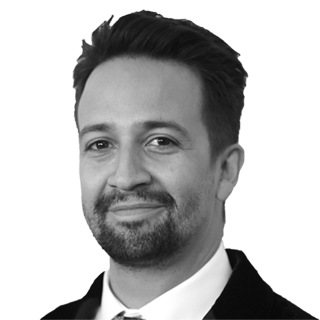 Lin-Manuel Miranda is an award-winning composer, lyricist, and performer, as well as a 2015 MacArthur Foundation Award recipient.